Jimmy Ruiz was hired by a company called Ultra-Tech as a corporate spokesman/mascot named Prototype. He had devices surgically implanted in his body that enabled him to cybernetically control a suit of powered armor which enabled him to fly, fire blasts of concussive energy, and which greatly amplified his strength. Ultra-Tech had discovered that Jimmy was an Ultra that could supply his own energy, reducing the size of the powered suit. 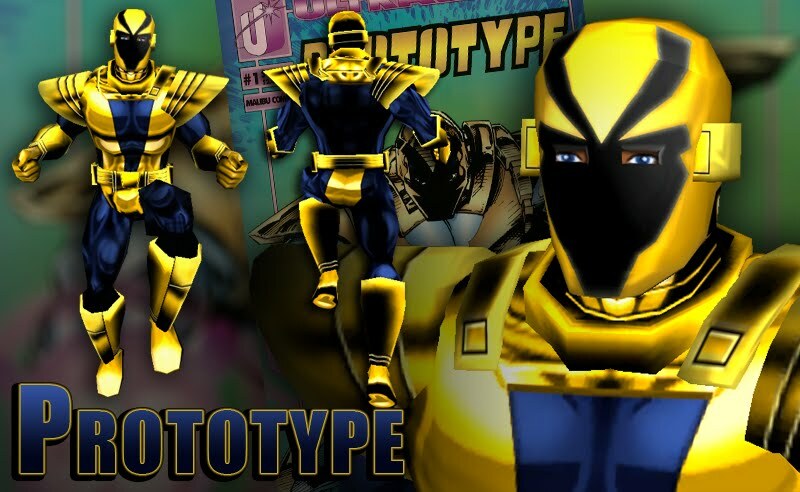 As Prototype, Jimmy Ruiz became a member of Ultraforce, helping defeat Atalon.